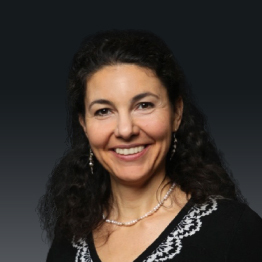 Rose Raizman, RN-EC, MSc, with over 19 years of experience, leads the Save Our Skin (SOS) team at Scarborough & Rouge Hospital located in Toronto, Canada, to combat pressure ulcers of hospital inpatients. She also oversees the wound care clinic for inpatients and outpatients. Patient Condition: 41-year-old female patient with an abdominoplasty surgical site infection. Received silver-based antimicrobials in conjunction with negative pressure wound therapy. Once the bacterial load was reduced, the clinician decreased the frequency of dressing changes. In this case, the patient experienced dehiscence and surgical site infection after an abdominoplasty, and was referred to a wound care specialist. 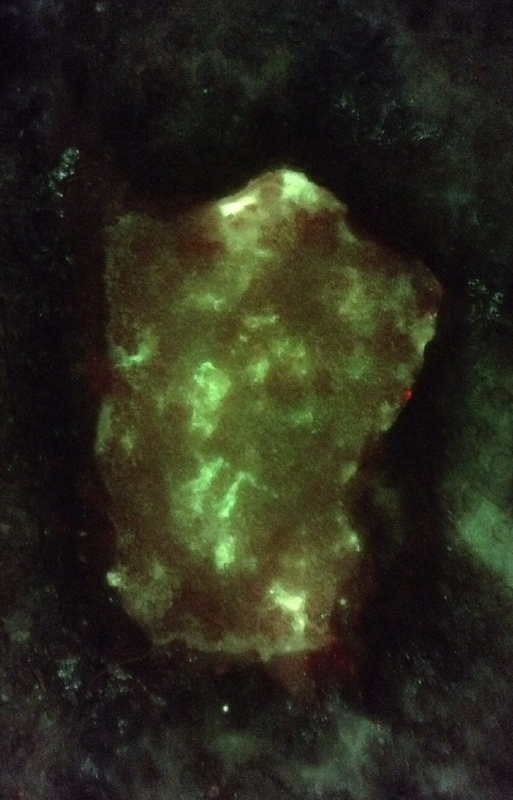 Red fluorescence, as visualized on the MolecuLight i:X, confirmed the presence of bacteria2 at the periphery of the wound. 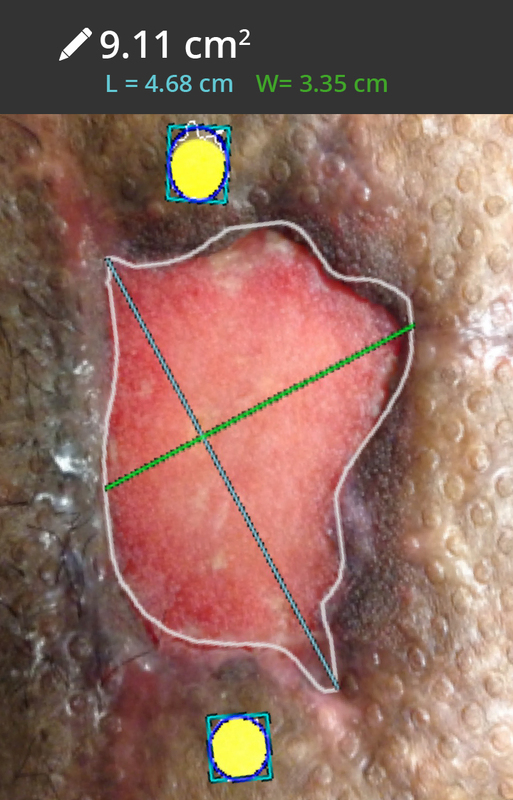 To eliminate the bacterial load, the periphery of the wound was vigorously cleaned, and silver-based antimicrobials were applied in conjunction with negative pressure wound therapy. 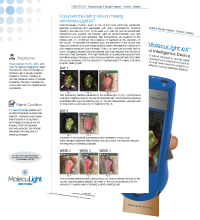 Follow-up care was provided and by Day 3, imaging indicated that the bacterial load was reduced and the size of the wound had decreased. 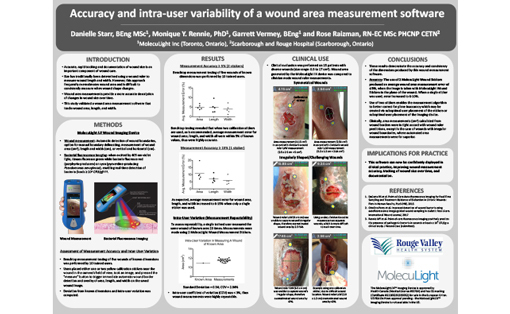 With rapid feedback on surface area reduction and the effectiveness of therapy, a less onerous treatment was planned and the wound achieved a 54.8% reduction in surface area in 4 weeks, indicating a rapidly healing path. 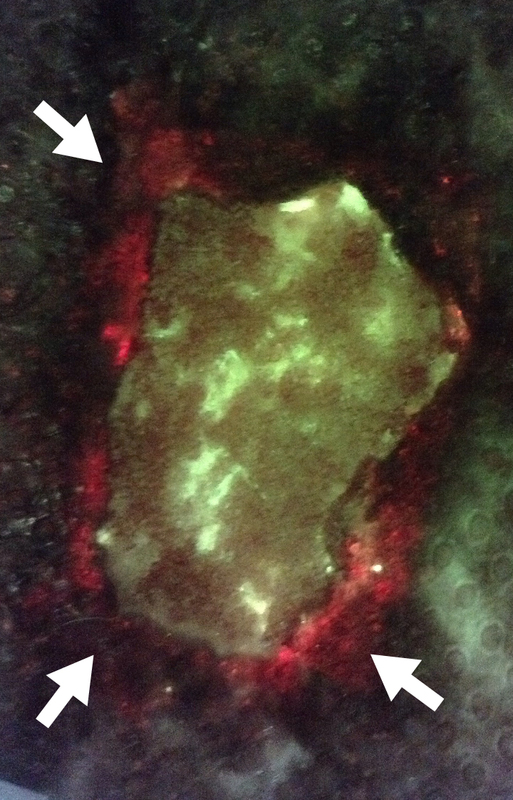 Red fluorescing bacteria visualized by the MolecuLight i:X (Figure 1) prompted a change in treatment plan to reduce the bacterial load. 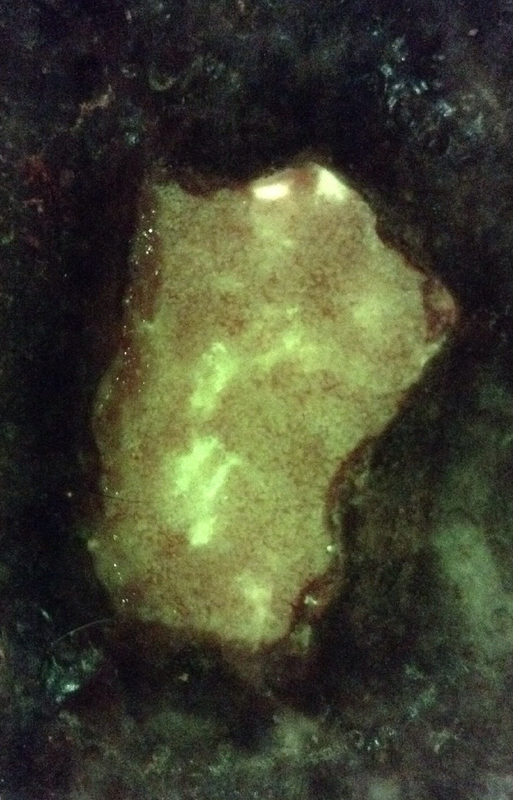 Red fluorescing bacteria decreased after vigorous cleaning (Figure 2). 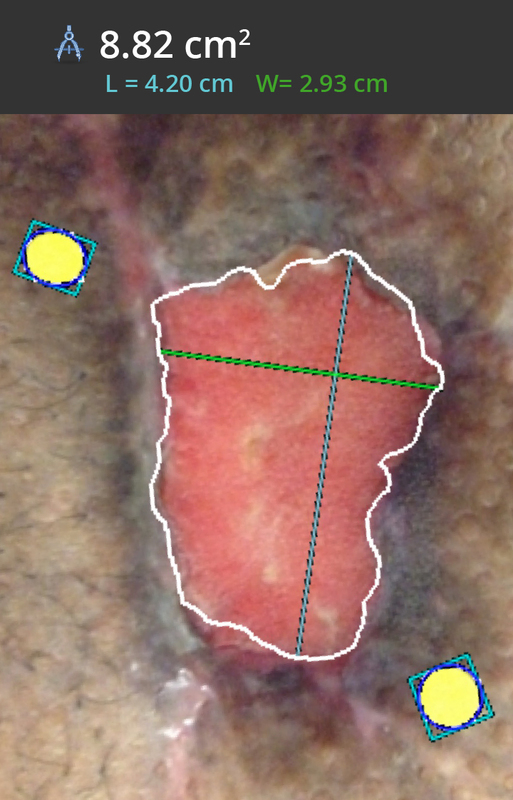 Wound measurement was captured to document wound size prior to treatment (Figure 3). 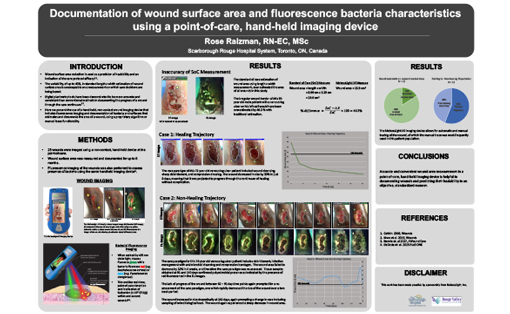 Absence of red bacterial fluorescence and decrease in wound size demonstrated treatment effectiveness, and as a result, the clinician reduced the frequency of dressing changes. 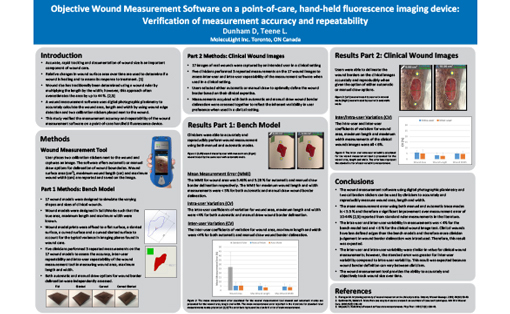 Wound measurements taken during follow-up visits confirmed the size of the wound was decreasing steadily. 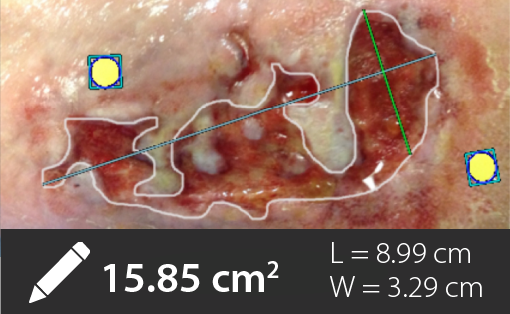 By Week 4, the wound achieved a 54.8% reduction in surface area, indicating a rapidly healing path. Winocour J, et al. Abdominoplasty: Risk Factors, Complication Rates, and Safety of Combined Procedures. Plast Reconstr Surg. 2015 Nov;136(5):597e-606e. Rennie MY, et al. J Wound Care. 2017 Aug 2;26(8):452-460.